An application for charter of Associated Glass and Pottery Manufacturers was presented at the Court of Common Please of Allegheny County, Pennsylvania on October 16, 1923. The hearing was on November 14, 1923. Below is the text from the Application for Charter in the Alleghency County Pennsylvania Charter Book Volume 58, Page 49. The name of the corporation is Associated Glass and Pottery Manufacturers. The purpose of the corporation is to encourage and protect trade and commerce in glassware and pottery by holding public exhibitions of articles of glassware and pottery from time to time and education the public in the usefulness of such articles. The place where the business of said corporation is to be transacted is the City of Pittsburgh, County of Allegheny, State of Pennsylvania. The corporation is to exist perpetually. The corporation shall have no capital stock. Membership in the corporation, including admission thereto and termination thereof, shall be governed by and as provided in the by-laws. The officers of the corporation shall be a president, a vice president, a secretary, a treasurer, and such other officers as may be provided for by the by-laws. The yearly income of said corporation, other than that derived from real estate, shall not exceed the sum of TWENTY FIVE THOUSAND ($25,000) DOLLARS. Witness our hands and seals this 6th day of October, A.D. 1923. Seals for the Directors listed above were attached to the application. 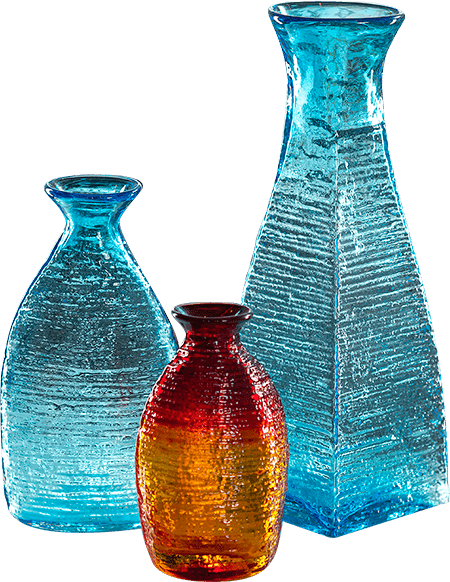 An application by Association Glass and Pottery Manufacturers to amend and restate its articles was filed in the Court of Common Pleas of Allegheny County, Pennsylvania (Charter Book, Volume 81, Page 135) in 1924 and in 1966. The Association was incorporated under the Act of April 29, 1874 entitled “An Act to provide for the incorporation and regulation of certain corporations,” as amended by decree of this Court presented December 27, 1923 at No. 489, January Term 1924. The original Articles were recorded in the Office of the Recorder of Deeds of Allegheny County, Pennsylvania on December 26, 1923 in Charter Book Volume 58, page 48. The resolutions authorizing the amendment and restatement of the Articles of the Association, hereinafter set forth, were duly approved and adopted at a special meeting of the members of the Association duly called and held in Pittsburgh, Pennsylvania on November 18, 1966 upon 39 days prior written notice to each member, given in accordance with the By-laws of the Association. A quorum was present throughout said meeting, and the resolution authorizing this application to this Court was unanimously adopted by the members present and voting. To provide scholarships to secondary, undergraduate and graduate school students and otherwise to contribute and support educational and charitable organizations. The corporation will exist perpetually. The corporation shall have no capital stock, and no part of the net earnings of the corporation shall inure to the benefit of any private member or individual. Upon any dissolution, liquidation or winding up of the Corporation, in whole or in part, the members shall have no property rights in the assets of the Corporation. Said assets shall not be distributed to or for the benefit of the members as such but shall be disposed of so as to carry out the purposes of the corporation as set forth in these Articles. The number and classifications of the members of the corporation, the different classes of membership, if any, the voting and other rights and privileges of each class of membership, the liability of each class to dues or assessments, the method of collection thereof and provisions with respect to the termination of membership shall be as set forth in the by-laws of the Corporation. The corporation reserves the right to amend, alter, change or repeal any provision contained in its Articles, to the extent and in the manner now or hereafter prescribed or permitted by statute, and all rights herein conferred upon the members are granted subject to this reservation. Proofs of the advertisement of the Association’s intention to make this application for the amendment and restatement of its Articles as required by the Nonprofit Corporation Law are submitted herewith. WHEREFORE, the Association prays that the foregoing amendment and restatement of its Articles be approved, that upon compliance with the provision of the Nonprofit Corporation Law they be deemed and taken to be the Restated Articles of the Association and that henceforth the Articles of the Association, as defined in Article I of the Nonprofit Corporation Law, shall not include any prior documents. For three-quarters of a century, the annual china and glass exhibit held in Pittsburgh was the most important of all trade shows for the U.S. tableware market.1 Since the early ninettenth century Pittsburgh had been a center for glass-making, and by 1880 it was home to numerous important glassworks. Consequently, wholesale and retail buyers regularly traveled to the city to view glassware displayed in local factory showrooms. Two salesmen are credited with founding the Pittsburgh trade show–William B. Ranney of the Co-Operative Flint Glass Company of Beaver County, Pennsylvania, and S.C. Dunlevy of the LaBelle Glass Company of Ohio. Dissatisfied with the sales of his firm, which was located 35 miles northwest of Pittsburgh, Ranney surmised that buyers coming to inspect the showrooms of large glasshouses in the city would view a display of wares from outlying firms if it was staged in Pittsburgh. For six weeks in January 1880 a voluntary exhibition of glass was organized by salesmen and manufacturers at the elegant Monongahela House Hotel. Although a few potteries joined in the very next year, the annual affair remained primarily a glassware trade show until the early twentieth century. By 1889 the event included displays by seventeen out-of-town factories. Nine years later the show was better organized, included twenty-four manufacturers, and was attended by a respectable number of buyers primarily from the northeast, Midwest, and mid-Atlantic regions. The organization of the event shifted over time as well. Originally, the exhibit was loosely structured with relatively minor glass and ceramics firms voluntarily participating. But after World War I, as nationally known firms began to exhibit, a more professional structure was needed if the event was to reach its full potential. At the 1921 show a group of American producers formed the Associated Glass and Pottery Manufacturers. Beginning the next year the association assumed responsibility for the show’s organization. One innovation was to further separate the exhibitors into groups: by 1916 domestic manufacturers were showing their wares at the Fort Pitt Hotel, while importers took showrooms in the William Penn. Starting in 1923 the Fort Pitt was officially reserved for American products only. When in 1936 the entire show was held in the William Penn hotel for the first time, the two types of exhibitors were reunited.